Affiliates all over the world will once again gather in London as iGB Affiliate hosts this year the 10th London Affiliate Conference (LAC). Running from Feb. 4 to Feb. 7, LAC 2016 is expected to welcome over 4,000 delegates, setting a new record as iGB Affiliate’s largest event so far over the decade. Four days’ worth of conferences about the current state and updates of the industry, of networking with up-and-coming and established names in the business, and of exhibition of the top brands in the field await registered attendees at the Olympia National. This year’s LAC prepares new and familiar activities for the duration of the event, and they are set to top the previous conference held last year’s February. Affiliate managers, affiliates, speakers, and operators are among the 4,000 or so attendees expected to show up in LAC 2016. This makes LAC the perfect venue to build networks and partnerships, even more so during the official parties, of which one is sponsored by Banc de Binary. Three conference tracks are set up for the two days allotted for the conferences, which feature more than 40 speakers from different companies scheduled to take the stage. Other than the conferences on Friday and Saturday, LAC 2016 also hosts more than 140 exhibitors, including the popular sportsbook William Hill and the renowned game developer NetEnt. Winning Poker Network, with which real-money and Bitcoin poker site Americas Cardroom is affiliated, is also one of the brands to watch out for in the exhibition. A dedicated Acquisition zone is also up for this year’s LAC after its successful reception in last year’s affiliate conference. Moreover, LAC 2016 is joined once again by Financial Partners Expo (FPE), which functions as the biggest expo dedicated to affiliates and brokers in the finance sector. Some of the financial trading brands present in the exhibition are eToro, AvaTrade, and Anyoption. 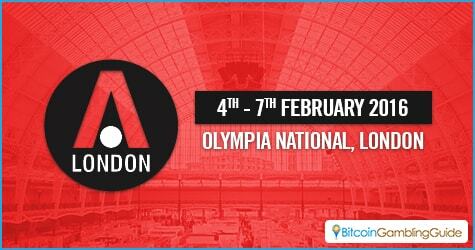 LAC 2015 was a great success, and it became more relevant to the Bitcoin market with last year’s conference tackling Bitcoin affiliation in iGaming in ‘Bitcoin Gambling: How can Affiliates take Advantage’ presented by GoCoin Director Eric Benz, Canadian Affiliate Management Company President Gian Perroni, CoinPoint CEO Oron Barber, and Trebax Group Founder Adam Leonard. Bitcoin’s role in affiliate marketing continues to make a buzz in this sector, especially with the estimated figures in online gambling released last year. 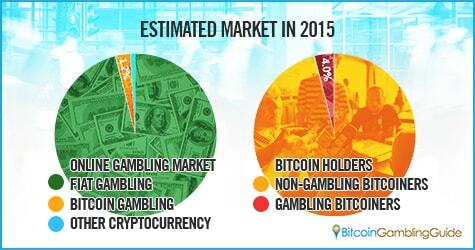 With the estimated market volume of online gambling sitting at $40 billion, Bitcoin gambling constitutes about $480 million or 1.2 percent of the iGaming market. Also, approximately four percent of the Bitcoin holders engage in gambling online using Bitcoin. As Bitcoin continues to gain ground in various countries, with iGaming as a primary medium, affiliates can expect an estimated market of over 1.2 million potential players across the world. Bitcoin gambling has not reached its prime yet, but its market proves to have a strong potential to yield higher returns for affiliates as more people are exposed to using Bitcoin and the online gambling community venturing into iGaming with Bitcoin. As some exhibitors in LAC and FPE have already welcomed Bitcoin to their business, this year’s LAC can spark a new trend among affiliates—one that will focus on the potential of Bitcoin to be the next big thing in affiliation.